Less than a week away, one of the most formidable all-female, flat-track roller derby leagues in the country starts their 8th season of play! 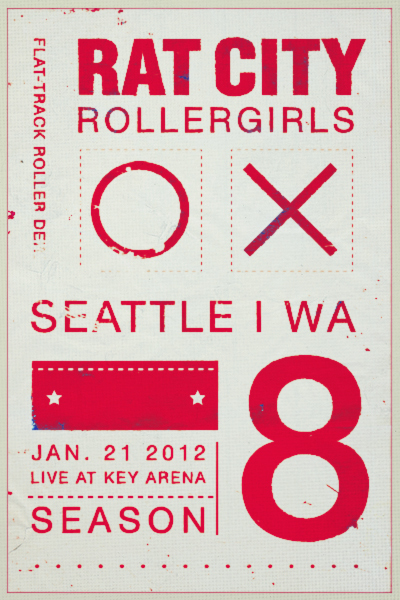 The Rat City RollerGirls have gained immense popularity in Seattle over the past few years, and they kickoff season 8 next Saturday, Jan. 21st, 2012 at Key Arena! Doors at 4:30PM and opening ceremonies start at 5:30PM. Check out how this amazing success story started by watching the Rat City RollerGirls documentary Blood on the Flat-Track, now available on Netflix instant (trailer above). For ticket, and merch information please visit the official Rat City website HERE. The season opener is packed-full of stiff competition, with the Derby Liberation Front taking on the Throttle Rockets in the first bout, and then the Sockit Wenches will go to battle with last year's champions Grave Danger! The festivities don't end! 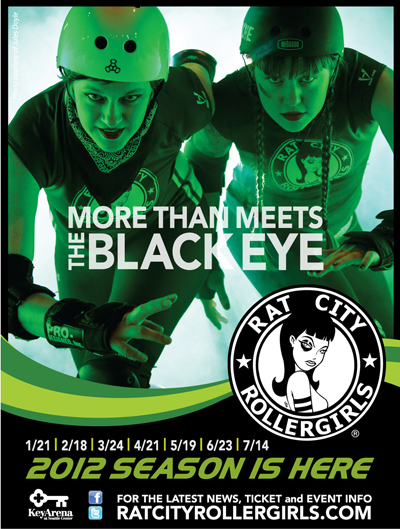 Be sure to hit up the Rat City RollerGirls afterparty that evening at Hula Hula (just down the block), with drink specials for all you Rat City fanatics. Cheers, FYM.